Libraries are the perfect market for going digital! 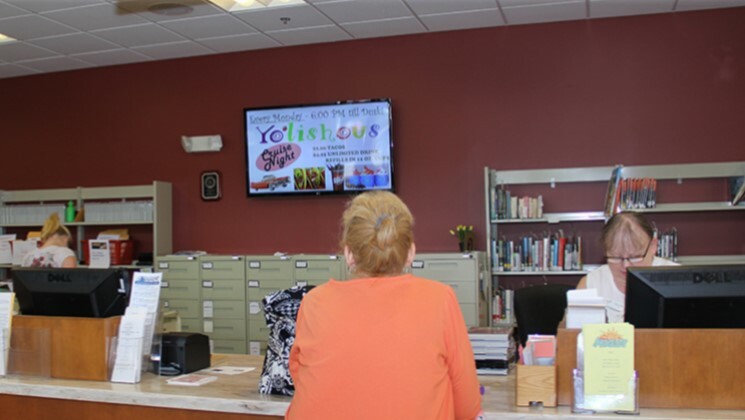 While some may argue that books and screens don’t mix, we found that library digital signage not only draws attention and engages library visitors, but also that there are countless options for libraries to upgrade to high technology while staying true to a traditional library atmosphere. Patrons think of their local library as their information hub. Make that information even more readily available with an interactive kiosk. Interactive kiosks are the perfect tool for libraries of all sizes with all sorts of needs and goals. These high-tech pieces empower library patrons to pick and choose the information that is most important to them. For more information on the additional capabilities of an interactive kiosk, click here. Wayfinding is by far one of the most attractive features for libraries. 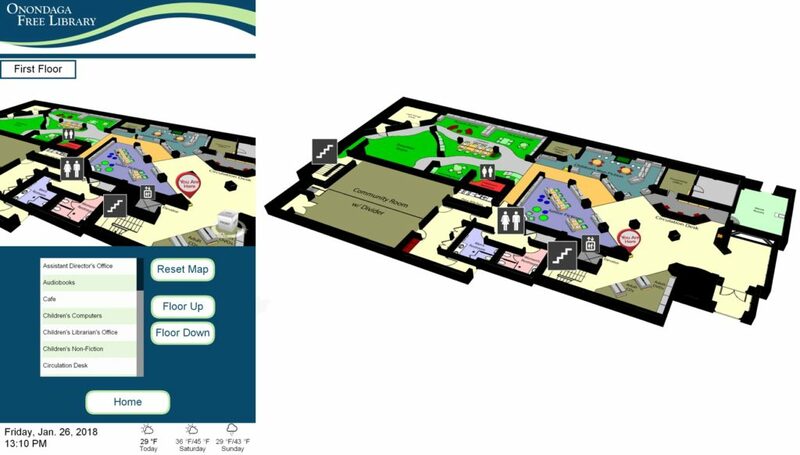 The ability to navigate and find a book or genre section with the touch of a finger is not only a convenience feature but also creates operational efficiency by eliminating the need for employees to give directions. With all of the activity in a library setting, digital signage offers the most convenient method to reach and inform your audience. Standard library digital signage is controlled remotely via the cloud, allowing users to update content as frequently as desired without needing to be within the vicinity of the library. 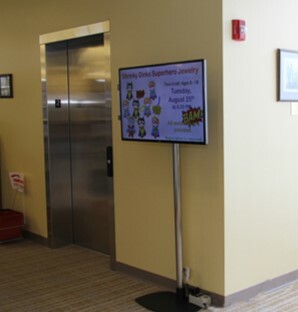 Click here for more information on standard library digital signage. The first library installation we completed was at Gates Public Library. They already had an existing screen on their first level that they were currently updating with a USB stick, which was a bit inconvenient, but was working for them. However, when they planned to expand their digital signage network, it became obvious that they were in need of cloud-based software. We were able to quickly convert their content over to a format that would fit with the most affordable digital signage software on the market today. We installed a brand new digital sign on a single post kiosk and converted their current screen over to digital signage software. Now they are capable of updating both signs from a central location and keep their patrons updated on library events and news. Webster Library was undergoing major renovations that would include moving their entrance from one side of the building to the complete opposite side to reduce parking issues. This would change the entire layout of the library and librarians were concerned that patrons wouldn’t be able to find what they were looking for. With that, our team set to work to develop a dynamic 3D rendering of their building. 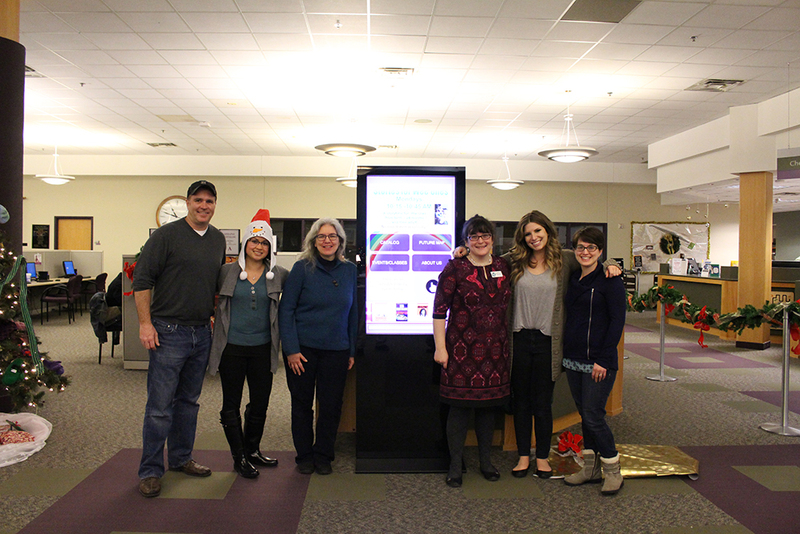 The Library also wanted to integrate their database into the kiosk, but a complete integration simply did not work with their time constraints or budget. So we created a seamless I-Frame integration with an interactive keyboard for searching. We were also incorporated a “New Book” RSS feed straight from the library website on to the kiosk’s home page that would automatically update when the website was updated. No problem! At Empire Digital Signs, we create completely customized solutions to meet every specific client’s needs. So let’s talk. Contact us today and we will use our digital signage expertise to make all of your goals a reality.